The little I knew about Joe Dispenza really interested me. He combines ancient wisdom and things that usually stand as spiritual, with modern science, mainly quantum physics and neuroscience. 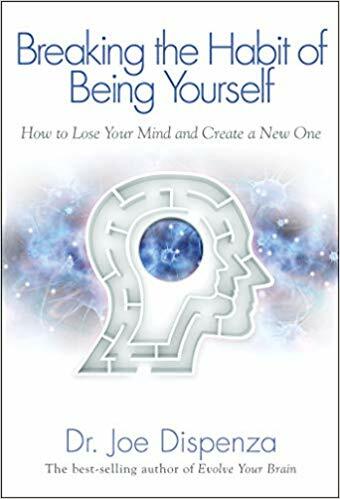 The author makes a great job of showing you how your thoughts shape your identity. How the mind creates self-reinforcing loops that become first a habit, then your identity. Being aware of these loops is what will allow you to change them. He explains very well the theory and also gives practical meditations that I haven’t tested yet. Joe Dispenza often refers to quantum science and the observer’s effect, basically that there is no actual position of an electron at the sub-atomic level and that it only has a specific position when observed. This discovery is supporting theories about the absence of objective reality and the fact that the world only exists in people’s consciousness. He also scientifically explains that the world is mainly energy, not matter, and that everything is likely to be connected through energy. This leads to thinking that on top of affecting your own behaviours, your thoughts will also have an impact on the things around you. This relates a lot to the law of attraction. I find the law of attraction quite mystical though while Joe Dispenza refrains from grandiose claims and makes a good effort of backing up his beliefs. The only thing I didn’t like is that i found the book quite repetitive and could probably be shorter. There are a few graphs so I would recommend the paper version vs Audible. Recently I got very interested in a smart use of psychedelics. First, thanks to the people I deeply respected that advocated for it or used it - Tim Ferriss, Steve Jobs, Aldous Huxley, Aubrey Marcus, Gabor Maté, Joe Rogan to name a few. I then looked into the science behind it (mainly psychology and neuroscience). I also had my personal experiments. I listened to Michael Pollan on a TV show, then on a Tim Ferriss podcast and then heard about the book at a meditation event I was attending, which bumped it on the top of my to-read list. The book is mainly in 3 parts: the history of psychedelics, his own experience and the science. The first part is good to know so you have more context but wasn’t the most exciting, Probably necessary though. Then in part 2, it is very interesting to read about his own experiments. I liked it because as a Western rational mind, I could relate to his stories and doubts. Michael Pollan has a healthy skepticism and he doesn’t extrapolate grandiose conclusions too quickly. He has a very healthy way of thinking and he takes us on the journey on how he changed his mind. In part 3, he uses neuroscience to explain the scientific process of what happens when you change your mind as he did. There are now plenty of resources to get more information about the science of psychedelics but I find Michael Pollan’s book a great reference. The book didn’t really change my mind because I’m already pretty aware of the power of these substances. However psychedelics did. And the book will probably change your mind if you still think of psychedelics only as a dangerous drug. Main things I got out of it is a better understanding of how we operate as humans and the freedom that comes with detachment from the results of our actions. The main insight I got was the importance of being radically open-minded and to surround yourself with people who think differently to see reality as it is and achieve great things. Main insight was how quickly AI & biotechs will change our societies, the risk of making a great part of humans irrelevant. It also triggers very good questions about the nature of consciousness. It’s always hard to sum up Eckhart Tolle’s books because he doesn’t really speak to your mind. That’s why I like listening to it casually as an audio book. 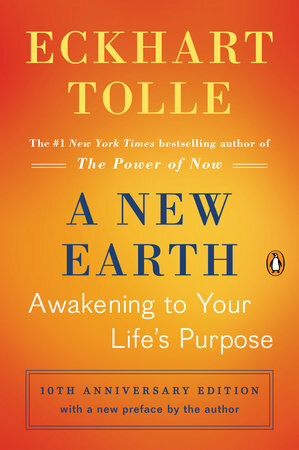 One year after reading the Power of Now, I decided to tackle A New Earth and it was amazing again. The Power of Now insists more on being in the present and quieting the voice in your head. A New Earth expands more on the pain body and the mechanisms of the ego. What I love with the book is how you can recognize when these operate within yourself. By bringing these unconscious programs to your awareness, Eckhart Tolle makes them weaker. As he mentions, you don’t fight darkness, you simply bring light to it and it disappears. We all sometimes operate on a victim mode. Meaning we actually seek issues or pain. Eckhart Tolle describes it very well and as you read it you will identify the moments when you do it. I identified some road rage moments for example when I was unconsciously seeking a situation that would make me angry. Eckhart Tolle speaks also well about unconditional love. He explains well the power and beauty of unconditional love. Beauty because of its purity, you don’t ask for anything in return. Power because as it is unconditional, it cannot be taken away from you. I intend to re-read it soon because there was quite more to it but just these 2 things allowed me to have a better life and better relationships. I had delayed reading this book for a while because I didn’t like the title. It sounded manipulative and I had no interest in this. A friend of mine convinced me it wasn’t, which is true. It insists on the importance of developing a genuine interest for others and a change in perspective. Here is what I got from the book. These seem like very simple things but the book helped me grasp these concepts and take actionable steps. Everyone views the world from their own eyes and consciousness. We often lack the perspective and intelligence to remind ourselves that it’s the same for everyone. For every situation, it pays off to simply look at the situation from the other person’s eyes and see what’s important to this person. This will make the people like and follow you. What I like with the book is that it’s not just a technic to manipulate. It does a great job convincing you that it is the way to grow and learn, because your perspective is often wrong or flawed and would improve if you could get out of your own head. In reminds me of Ray Dalio in Principles who states the importance of getting surrounded with people with different perspectives. I find meditation really helps to actually do it too. The book makes also a great job convincing you that instead of trying to be right or to impress, it is more important to listen and actually focus on learning. You learn more by listening and considering the possibility of being wrong rather than trying to be right. 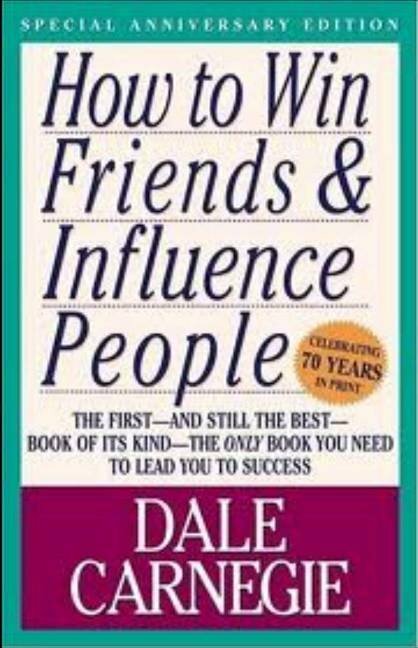 The book demonstrates you that the best way to be selfish is to actually be nice and interested in others. You will get back way more than you give. It develops this idea in a very rational way. The book was written in the 30s but its knowledge completely applies Today. Main insight was that I should not seek happiness in future events and that I will do anything better if I’m fully present in what I’m doing. Definitely made me happier and more performant.